Most of us have heard about milk of magnesia, but not many must have used it. Some of us think it to be a medicine, while some think it is a cosmetic. In order to adhere to all those queries, BeautyEpic has curated all that information at one place for one to understand the uses, benefits and side effects of this product. Read more and get an insight how you could use this amazing product. Magnesium hydroxide is popularly known as Milk Of Magnesia. Consisting of Magnesium, a naturally occurring mineral, milk of magnesia has been used for various medicinal and therapeutic uses. Magnesium is effective in handling various body systems and is considered beneficial for the muscles and nerves. Magnesium hydroxide also reduces stomach acid, and increases water in the intestines which may induce defecation. Magnesium hydroxide is administered as an laxative to relieve constipation and is preferred by many as a remedy for indigestion and heartburn. It has been found to be effective in relieving symptoms of various Gastrointestinal disorders. Not just for medical purposes, milk of magnesia has been used for catering to skin and hair beautification as well. Not that we are aware of what does milk of magnesia consist of, lets have a look at its various uses. For ones who have oily skin, milk of magnesia is one of the best products to curb with all that oil. It s great for skin care and combat oily skin. It further enhances and smoothen the skin. It is available as a liquid and in tablet form too. The ability to extract impurities is one of the major reasons a lot of people this over various other beauty cosmetics, that claim of doing a lot but do not give desired results. Milk of magnesia when used as a toner and cleanser is known to minimize pores. With it ability to cleanse the intestine and extract oil and impurities from the skin, it is quite a recommended product for Acne. The underlying cause for acne still remain to be this over oil skin breakouts that lead to these acne. Hence, applying milk if magnesia topically has seen in reducing acne and preventing them as well. It is also effective in reducing blemishes and enhancing the texture of the skin. Due to anti acid properties present, it helps in neutralizing the acidic levels in various allergies. But in the case of eczema, it works on the patches as an disinfectant but one needs to be careful as it make it further dry. 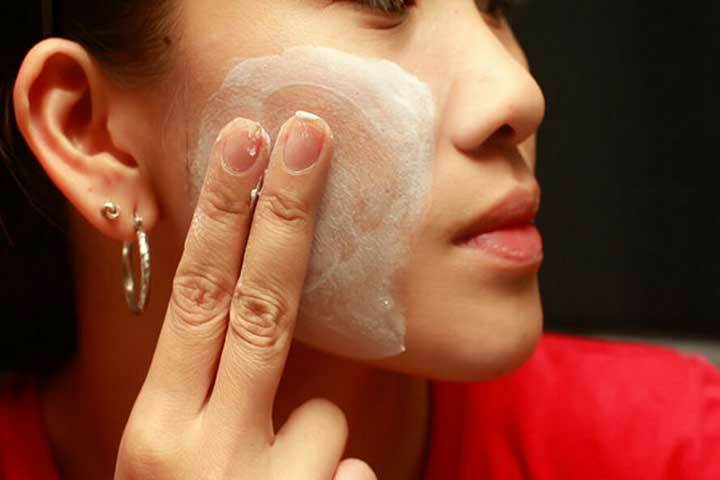 So it is advised to consult a medical expert before applying it in an eczema patch. 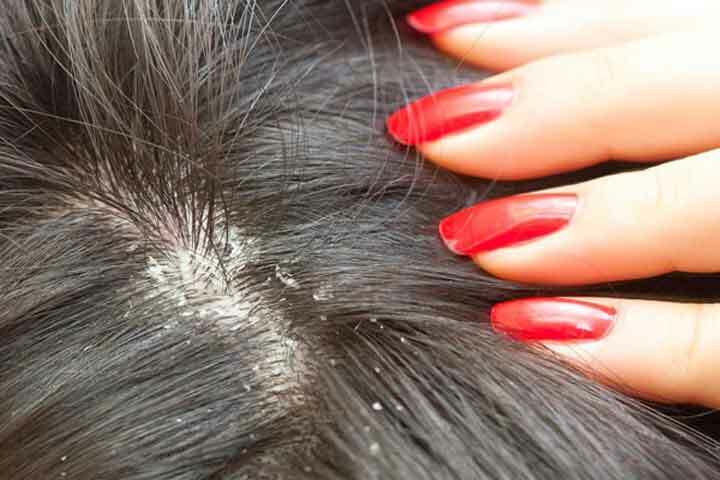 One can use milk of magnesia to treat itchy and dry scalp flakes. 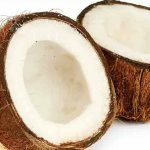 This is an inexpensive alternative to the expensive medically prescribed dandruff shampoo. It can be used just like any other shampoo on the scalp, massaged for a while and thereafter rinsed with water. As mentioned, being administered as a laxative of osmotic type, this is used to treat symptoms of constipation, not the regular but the occasional one. Milk of magnesia has the ability to draw water to the intestines, pacing up the movement in them. This thus helps in relieving constipation. Effectively used in treating symptoms and illness caused by excessive stomach acid, doctors prescribe milk of magnesia as an antacid. It reduces heartburn, indigestion and a stomach upset, all this by lowering the stomach acid levels. While one considers to start using milk of magnesia in any of the above mentioned methods, it in extremely important to understand that there may be side effects and one needs to keep that in mind, before opting it. 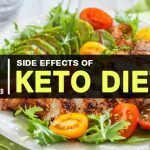 Have a look at the side effects mentioned below. Being an effective treatment for occasional constipation, sometime an individual may complain of temporary diarrhea. This is normal if it lasts not more than a few hours, however if the effects seems to persist and worsen, immediately medical attention might be required. Usually doctors prescribe considering the benefits of milk of magnesia to an individual, however sometimes it can lead to adverse effects like increase in magnesium levels of the body. 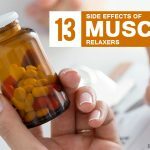 High levels of magnesium can cause muscle weakness, irregular heartbeat/ mood changes, confusion and slow or shallow breathing. If any of this occurs, one should seek medical help at the earliest. One can have symptoms of dehydration, decreased urination, dry mouth and extreme thirst. It can adversely effect and cause abdominal pain, rectal bleeding and blood stained stools. Serious allergic reactions are not prominent yet, however it is advisable to seek medical attention if one notices symptoms like rashes, itching, swelling on the face, tongue or throat. It might cause trouble in breathing and dizziness. If any of these, medical assistance will be immediately required. With this we wind up the uses, benefits and side effects of using milk of magnesia. We would suggest if one plans to try it topically, it is great to use however a self skin evaluation should be done prior to the use. This will help understand your skin better thus minimizing risks of any adverse effects. 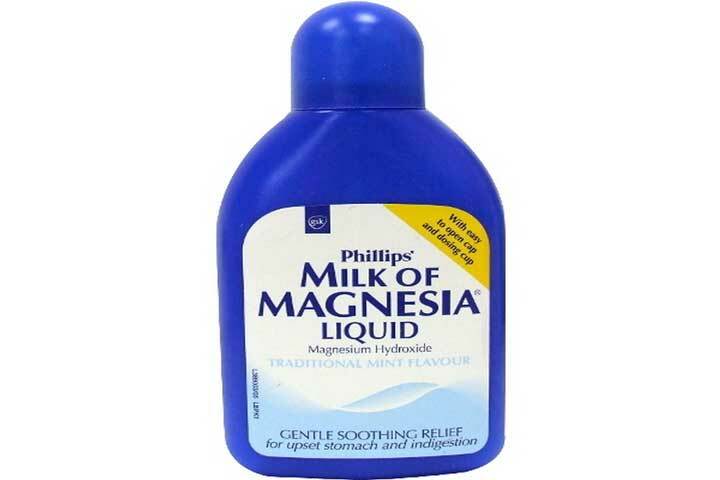 Do let us know your experience post using Milk Of Magnesia for us to recommend it further to others. 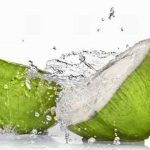 How to Use Coconut oil for Skin, Hair and Health? Milk of magnesia is also called as magnesium hydroxide. It is a laxative to relieve constipation and is preferred by many as a remedy for indigestion and heartburn. If you not aware of what does milk of magnesia consists take a look in to this….